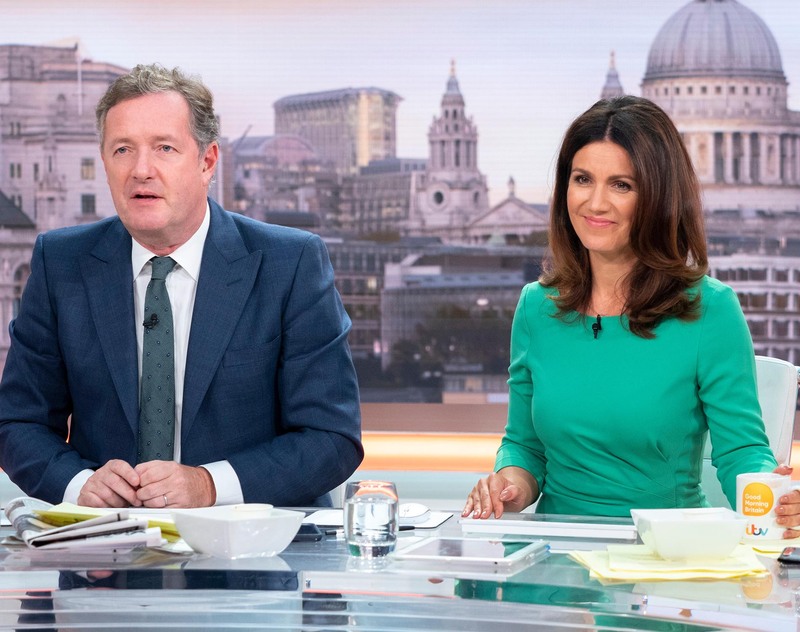 The Good Morning Britain presenter revealed her love life is going well after Piers Morgan made jokes about her single status. Susanna has given fans a few hints in recent months about her burgeoning love life, but now the 47-year-old has dropped her biggest clue yet that she’s in a relationship. On Monday’s Good Morning Britain, Susanna paired her stunning green M&S dress with a protective surgeons mask to avoid catching a cold from her co-host Piers, who coughed and wiped his nose for the first two hours of the show. After Susanna put on the mask, her controversial colleague suggested that she would have more luck dating if she wore the mask full-time. “You should wear that generally,” Piers quipped. This wasn’t Susanna’s first hint that she’s been on the dating circuit following her split from ex-husband Dominic Cotton in 2014. Susanna previously hinted at a secret romance earlier this year while discussing Love Island on Good Morning Britain. Susanna broke up with 51-year-old journalist Dominic after 16 years and three children together, and recently spoke about how she used self-help books to get over the divorce.